The Odessa campus is one of several campuses of the Texas Tech University Health Sciences Center at the Permian Basin of West Texas. 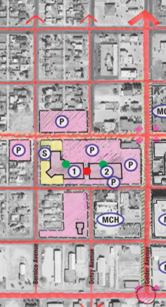 As such, the campus's mission, program, and physical development are tied to an overall strategy to serve the growing health service needs of the Permian Basin. 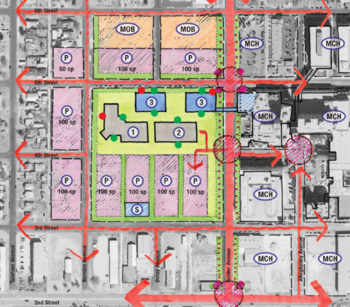 A two-day charette process resulted in three alternatives for expansion to accommodate additional facilities, improve open space and surface parking, and foster identifiable, functional, and safe connections to the community. 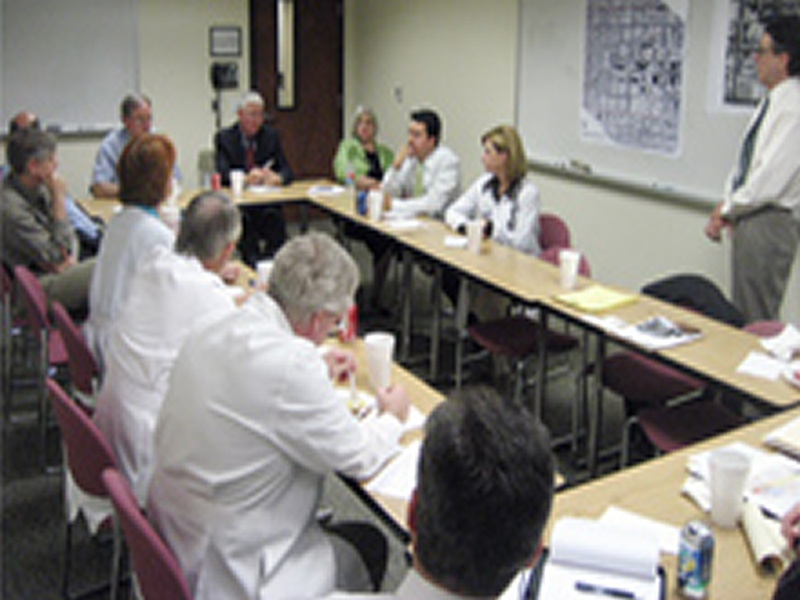 Bottom: The two-day work session involved administrators, medical staff, the City of Odessa, and staff of the teaching hospital.